Woof! 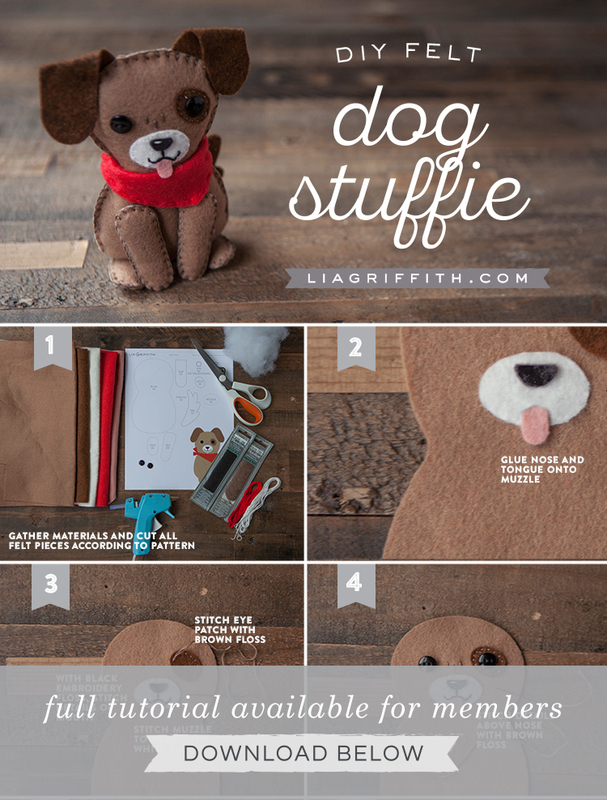 Want to make yourself the cutest stuffed felt dog you have ever seen? 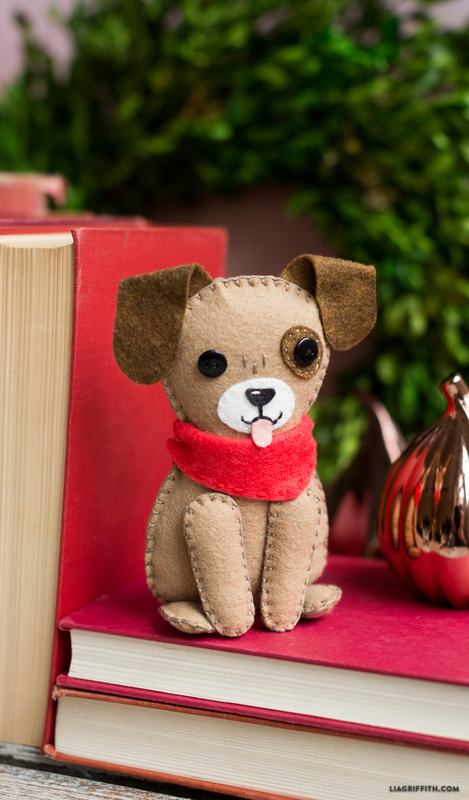 This little guy was designed and made by our designer Krista and we have all been fighting over him since. Even our studio dog Enzo has fallen for him. 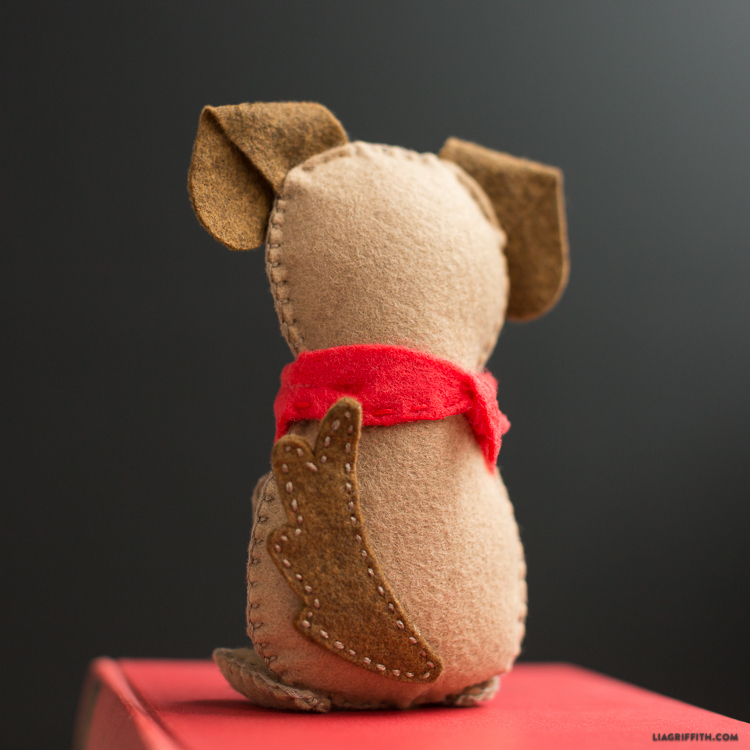 Sitting at just 6″ tall, this cute felt stuffie is simple to make using our downloadable pattern below. Print out the PDF, cut out the templates then transfer these to your felt using chalk or a white crayon. 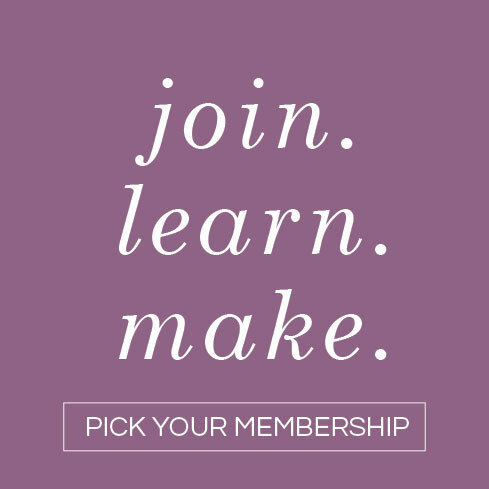 Cut the pieces with sharp scissors then you can follow our simple step-by-step tutorial below. 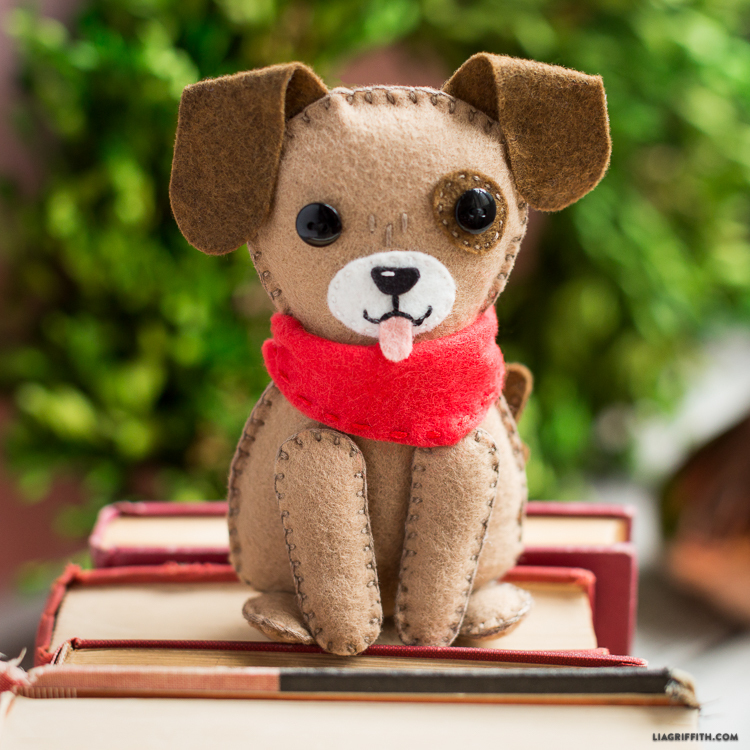 We used blanket stitch, running stitch and a low temperature glue gun to assemble our stuffed dog so this is a good project for young ones or newbies to the craft scene. 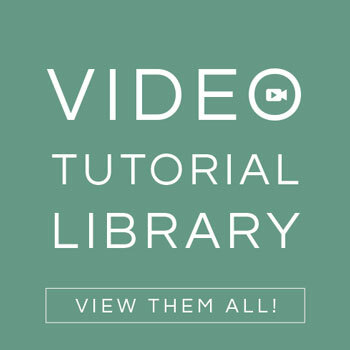 You can find a full list of materials used in the pattern PDF below. Cut felt pieces according to the pattern. Add a dab of hot glue to the nose and tongue and attach to the muzzle. Using black embroidery floss, stitch details for the mouth beginning under the nose and along the top of the tongue. This was about seven stitches total. Stitch the finished muzzle to the front of the body using white embroidery floss. You can use a dab of glue to keep it in place. 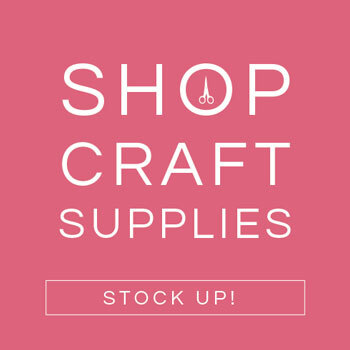 I recently found your site and I have fallen in love with felt crafts! You should do a cute little mouse stuffie. I love this dog and the rest of your ideas! Please just tell me what is the thickness of felt which u used for tgis dog? Thanks in advance! The felt is about 1mm thick, from Benzie Design. Hello. Which colors of Benzie Design felt were used? This is so cute; I can’t wait to make some for my friends and grandkids. I can customize them to look like their actual dogs. Thank you, Lia! OH MY GOSH, that pup is so adorable! And I love that beautiful paper. I’m telling you, I go through so much mail every day it makes me crazy, but when I get to yours, it always makes me smile. Really, not sucking up, I mean it ? Can’t wait to see if you do farm animals. Thank you so much Beth!! I’m glad that my emails make you smile, because your comments always make ME smile 🙂 Farm animals are definitely on the list! Oh for crying out loud, you will most likely get so many comments for this little dog. He/she is so sweet/adorable/cuddly as all get out. Don’t know how you figure out logistics but do to perfection. 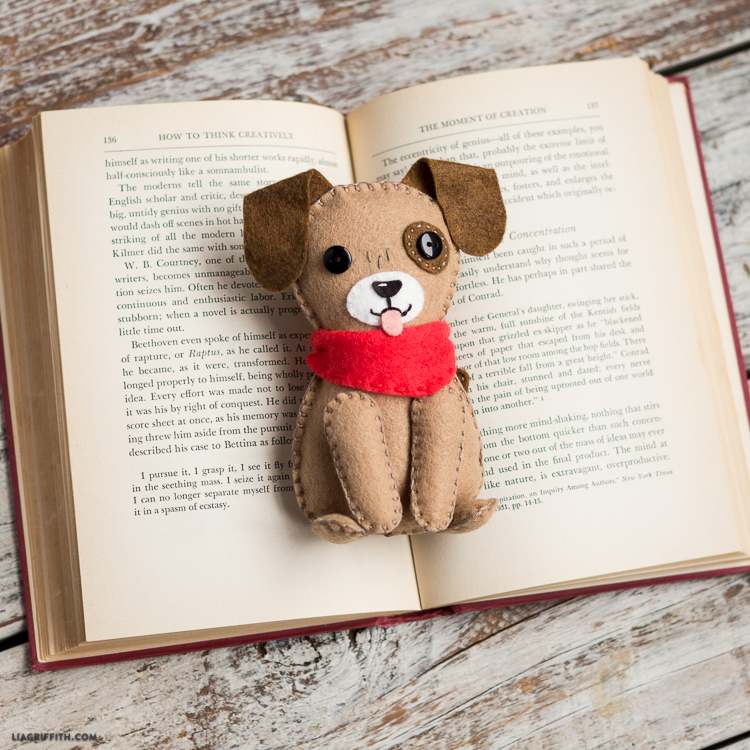 Will make one for daughter’s family to emulate their adorable little beagle. He is sweetest little guy and even loves his grand parents, we’d take him in heart beat but think they might miss him and our dog would have his nose out of joint, our cat too. Sure hope my stash of felt holds out. Krista you have one heck of imagination to figure out how to make this new “pet”. I’ll have to make one like our dog, just in black with white, he’s black lab/border collie. Will do my best to do any I make as cute as can. Better get myself ready for physical therapy today at 1:00p.m. Have great rest of week. What’s next? Can hardly wait to see.